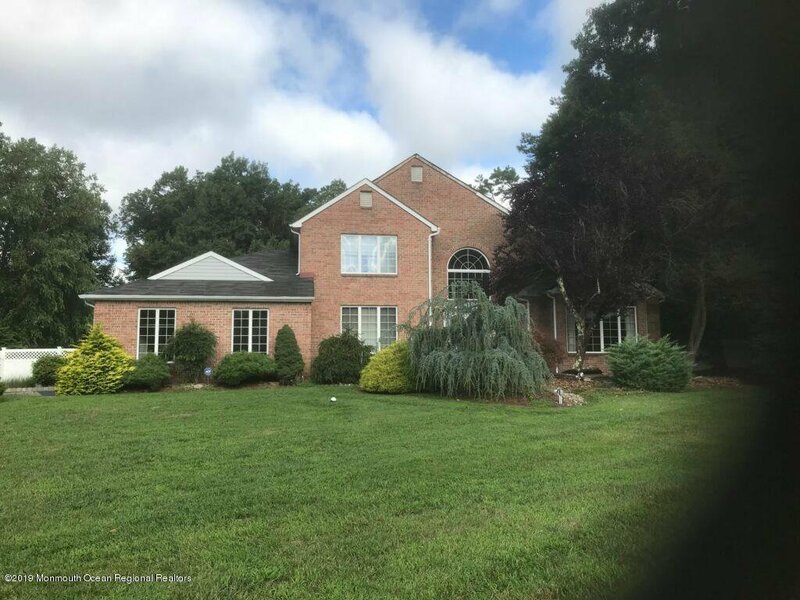 BEAUTIFUL 5 BEDROOM 3 BATHROOM BRICK COLONIAL. FIRST FLOOR FEATURES SUNKEN LIVING ROOM, SUNROOM, MODERN EAT-IN KITCHEN, DINING ROOM, 1 BEDROOM, FULL BATH AND A LAUNDRY ROOM. SECOND FLOOR HOLDS MASTER BEDROOM/BATH WITH STALL SHOWER, SOAKING TUB, DOUBLE VANITY AND WALK IN CLOSET, 3 ADDITIONAL BEDROOMS AND A FULL BATH WITH A DOUBLE VANITY. 3 CAR ATTACHED GARAGE, FULL UNFINISHED BASEMENT, FULL UNFINISHED WALK-UP ATTIC. COMPLETE WITH IN-GROUND POOL AND CONCRETE PATIO. SEPTIC SEWER AND WELL WATER WITH CONNECTIONS TO MUNICIPAL.SHORT SALE SOLD ABSOLUTELY AS-IS. BUYER IS RESPONSIBLE FOR OBTAINING TOWNS' CO AND ALL OTHER REQUIRED INSPECTIONS. UPSTAIRS A/C COMPRESSOR AND ROOF NEED REPLACING. Listing courtesy of Exclusive Properties Realty.